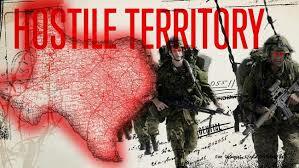 Some strange things have been going on in Texas since March 13, 2015 when news broke of the Jade Helm 15 operations set to be conducted by the U.S. military from July to September, with Texas listed as a “hostile” state. Texans became concerned with these massive “unprecedented” training exercises which US citizens were not informed of until a former member of the military leaked the documents. A public meeting was then held by the military to address the concerns of Texas citizens who did not believe much of what they were “officially” stating and made no bones about saying so. Shortly after, the Governor of Texas ordered the Texas Guard to oversee the operations. Since then there have been high profiles shootings, one aimed at a “Draw Muhammed Contest,” another more recent at the Dallas Police Department with a bomb scare thrown in. Let us not forget the major Biker gang shootout, where nine were killed, 170 arrested. Then we have the very strange weather events, first the drought, then massive storms and flooding. It certainly does seem like “something” is targeting Texas and, if the “Whistleblower” dubbed “White Rabbit” is to be believed, the attacks against Texas are about to get a whole lot worse and far more deadly. I was working in Austin today, and in line at a continent store; a very peculiar person approached me. I could tell he was shaken up. Upon making eye contact, he approached me and casually asked if I knew what Jade Helm was. I said yes. He asked if I was military. I said no. Why? He said he just went AWOL and is trying to warn as many people that’ll listen as he makes his way (off grid) to a safe place. I was intrigued and asked what he knew. He hurriedly showed me some papers and proceeded to tell me that upon getting his “orders” he quit and started running. He said Monday will be the kick off event that’ll send the operation real time. After discussing this with ANP co-owner Stefan Stanford, we decided to hold off because the nature of a “friend said that another person said,” simply was not enough to go to press even after the original poster, Dale Lewis, was interviewed by Project Camelot. The reason we have decided to put this out there now is that Project Camelot has conducted a follow up interview with a person they are dubbing “White Rabbit,” because the person wishes to keep his identity anonymous for safety sake. 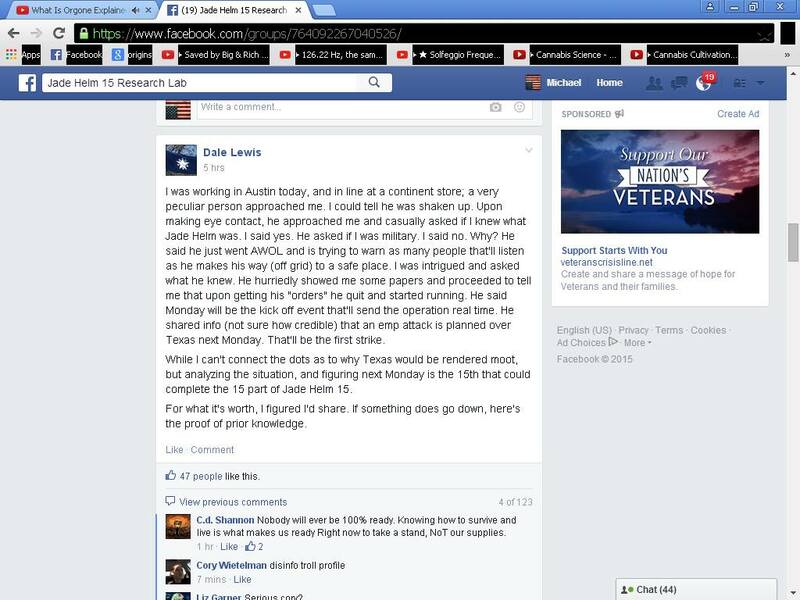 This man is the person that spoke to the individual claiming to be a soldier that is trying to warn people what Jade Helm is all about. There is no way to verify whether the person this “White Rabbit” spoke to was actually a soldier or just somebody playing a very sick and twisted joke, so it is up to readers/listeners to make their own determination on what they believe after listening to the interview below. Hopefully, IF this attack has been planned, enough attention is now being garnered to the event (EMP attack against Texas) that it will be impossible for those plans to be carried out at this time. There is a increased possibility for a False Flag, due to the TPP crap commencing next week, I believe on Tuesday the 16th. It’s a perfect time for a distraction (false flag) to redirect everyone’s attention while they slip this by and get it passed. Also to consider, June 15th, this is seeming to be the new JH commencing date. I really believe when something crippling happens, it will be when we least expect it.